Breitbart Texas traveled to the Mexican States of Tamaulipas and Coahuila to recruit citizen journalists willing to risk their lives and expose the cartels silencing their communities. The writers would face certain death at the hands of the various cartels that operate in those areas including the Gulf Cartel and Los Zetas if a pseudonym were not used. Breitbart Texas’ Cartel Chronicles are published in both English and in their original Spanish. This article was written by Coahuila’s “JM Martinez” and Breitbart Texas’ Ildefonso Ortiz. PIEDRAS NEGRAS, Coahuila — Mexico’s federal government used every political tool available in order to rescue former Coahuila Governor Humberto Moreira who had been facing money laundering and corruption charges in Spain. The bombshell revelation comes after an in-depth investigation by Spain’s El Pais. As part of their investigation, the newspaper alleges that Mexico had one mission, secure Moreira’s freedom. As previously reported by Breitbart Texas, Spanish authorities arrested Moreira last month and had him held in jail as part of a corruption investigation. Spain sought to find out if more than 200,000 Euros that Moreira had in the country were from a legitimate source or if they were embezzled, from bribes or cartel payoffs. As the case gained steam, Spanish authorities claimed that Moreira had been an employee of Los Zetas cartel. 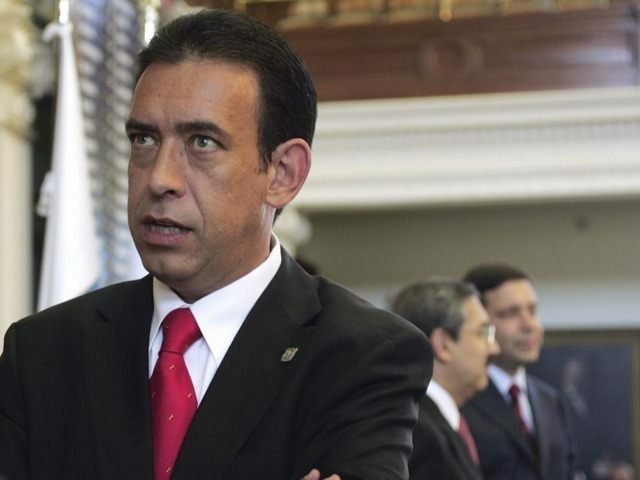 Humberto Moreira was not only the former governor of Coahuila but also the national leader for the Revolutionary Institutional Party (PRI) which is credited with bringing Mexican President Enrique Pena Nieto into power. As Breitbart Texas reported, Moreira was the governor of Coahuila during the time when Los Zetas cartel had absolute power in the region and carried out a wave of mass exterminations. The ruthless cartel members kidnapped hundreds of victims only to have their bodies incinerated in clandestine crematoriums. Some of the bodies were even incinerated at the state prison in this city. Surprisingly, days later, a Spanish judge had Moreira released and tried to make the charges go away, Breitbart Texas reported. The investigation by El Pais appears to shed some light into the abrupt change from the tough talking Spanish prosecutors to the accommodating judge. According to the publication, Mexico’s Attorney General Arely Gomez personally called her counterpart in Spain Consuelo Madrigal to ask her about the case. “She answered that the case was under summary secret that we could not give her any details and the position of the agency was that the sir should be held in prison since the crimes were very serious,” El Pais quoted a news release from Spain’s Attorney General’s Office. According to El Pais, on January 15, the same day that Moreira was arrested at an airport in that country, the Mexican Embassy in Madrid Spain received ordered from home to jump into the case. The diplomats were tasked with finding legal help, and to make accommodations for Moreira’s family. Mexican investigators from the Attorney General’s Office assigned to the embassy in Spain worked their contacts in Spanish law enforcement in order to learn about the case and why they were targeting Moreira. The refusal to share information between the two countries caused tension between the agencies. A Mexican consular official visited Moreira in prison, while that is common procedure, the visits are never as prompt as in this case, the Spanish newspaper reported. Consular employees also drove around Moreira’s legal team in the country. The case had brought great concern to Coahuila where many politicos and businessmen feared that the case could uncover vast corruption in the state government. One of the prevailing theories being circulated by citizens in this region is that vast sums of government moneys were funneled into the PRI campaign that got Pena Nieto elected. Currently some government officials have been implicated in U.S. courts various corrupt activities and some are considered fugitives.